Need a fresh approach to teaching dynamics, facial expression, phrasing, and musicality? Use a gadget! 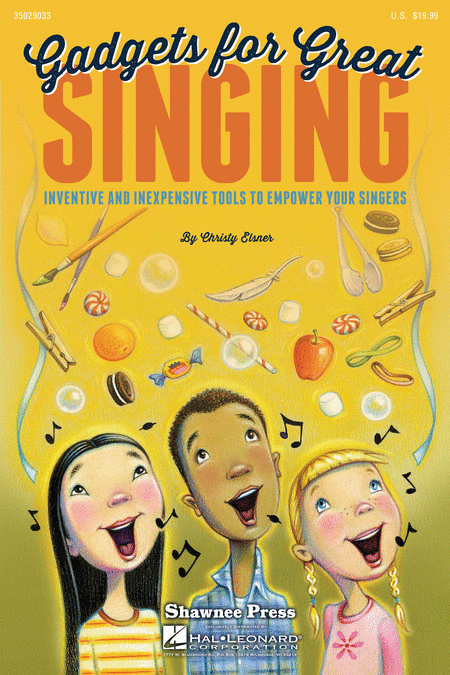 Unleash your creative beast with clever everyday "gadgets" redesigned for use in the choral classroom by music educator and choral conductor Christy Elsner. These inexpensive learning tools provide endless inventive ideas for introducing and reinforcing all elements of vocal pedagogy including breath, resonant tone, vowel formation, tongue placement, and diction. They also promote kinesthetic awareness and physical memory, empowering the individual singers and the entire class as a whole to be great singers.